Stephen Krawczyk is an innovative marketer with more than three decades experience in developing, positioning and re-inventing consumer products. He has generated sustainable growth for industry leaders like Neutrogena, Bristol-Myers Squibb, Revlon and Vidal Sassoon through aggressive and imaginative marketing and advertising campaigns, product development, and strategic brand-building. Steve was instrumental in developing Bristol-Myers Squibb’s “Together we can prevail” corporate branding and advertising campaign. He also created the company’s first non-English commercials in a disease awareness campaign directed at Asian communities. His work at Neutrogena led to the rapid expansion of that company’s Acne, Sun, and Skin Care businesses. He spent his early career at Vidal Sassoon, where he grew a line of professional hair care products into a powerful consumer brand. Sales more than quadrupled to over $100 million from $25 million during his stewardship. 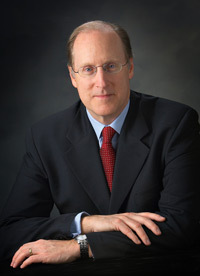 Steve, a graduate of the Georgetown University School of Foreign Service, has led his own firm, Stephen Krawczyk Consulting, since 2003.